More vacation rentals to check out on the Cape! 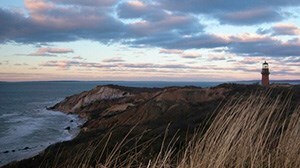 Home Blog Cape Cod vacation rentals - find your special place! Cape Cod vacation rentals - find your special place! Each season we recognize that some folks like to plan their Cape or Islands vacation early, while others wait till the weather is nice, kids are out of school, Easter comes and goes, or they win the lottery. We want to reassure you that whenever you are ready to plan, we will have vacation rental houses with availability. As the season draws closer, the choices of which week to vacation and exact house preferences may lessen, but there will be a house ready and waiting. The beach, and lobster rolls, and salt-water taffy, and sunsets and vacation rentals are reliable and plentiful. 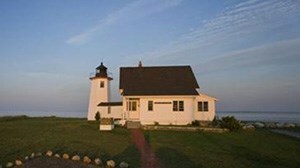 Here is a list of Cape Cod homes that were recently activated on our site. You might like one of these, or decide to run a search by town, price, date, size, and amenities on our vacation rental search. 3) Private, Well Appointed 2 Bedroom Home Within 1 mile of Skaket Beach! About Becky Fischer: I have worked for WeNeedaVacation.com since 2003. Currently serving as Marketing Manager, my position entails collaborating on all print and social media marketing efforts as well as the company's valuable relationship with 17 local Chambers of Commerce. In addition, I provide photography, video, and consultation services to vacation rental homeowners, and have photographed over 300 homes on the Cape and Islands. My husband and three children moved to Brewster in 2006. I grew up outside of Boston, spent summer vacations on Nantucket, and was married in Orleans. My favorite activities on the Cape are walking on the CCRT, deep breaths at the beach, and working with my community to support the schools and local events.